This painting is not me. 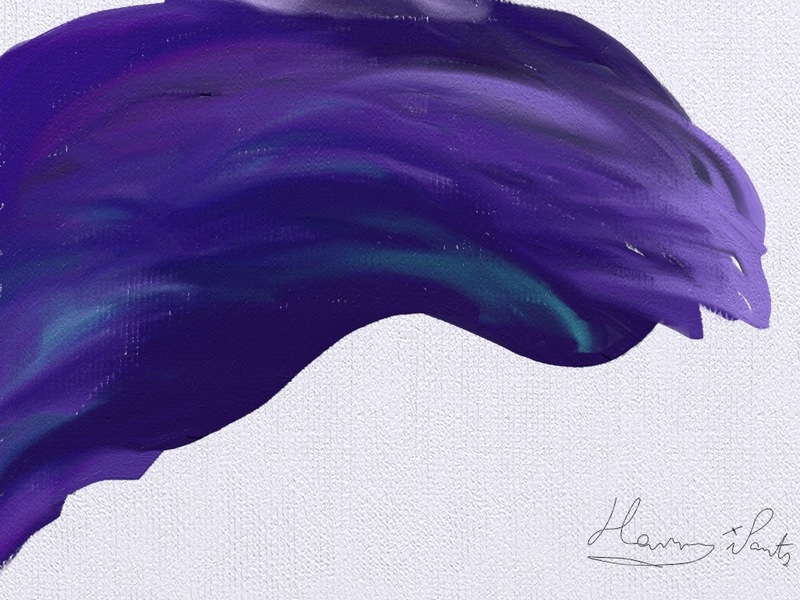 In truth, it’s not even a real painting, but something ‘painted’ by me in Artrage, an iPad painting app. Such are our times, that to soothe my troubled (and for troubled let’s at least be truthful and say fucked up) soul, I can ‘paint’ how I feel without paint, brushes, canvas or talent. Naturally, it kind of created itself. I was pretty much elsewhere, hellbent on self destruction, or something else with a more interesting name that means something like it, but not quite exactly that. So, this thing you see, it is not me, but It. Some of you don’t need any explanation of what it is. Those of you who don’t know, sorry, can’t explain. I signed it Harry iPants, but of course, that’s not me either. Strangely enough, that is my iPad’s name. My friend Harry, who is not real, but helps me anyway, somehow, when time is all I have, and I don’t want it anymore. Time to stop ? I think so. Some days, you just can’t fix it with words. That’s why they keep making tomorrows I guess. Posted on January 19, 2012 by harryipants	• This entry was posted in Uncategorized. Bookmark the permalink. Did it do its job? Did it help soothe your soul? I hope so. I really do. Thank you MSB. It helped a tiny bit. Which is, I think you know, a lot. ‘It’ looks very familiar to me. I feel that purple tide rise and fall with tedious regularity. . . .
There’s always tomorrow, Harry who isn’t Harry. Hey, you were right ! It’s tomorrow, maybe not there yet but here… and it’s a pretty excellent tomorrow after all. Some days it’s so great to be who we are… and aren’t. Ain’t it just so ?